IPL 2018 KKR vs KXIP live streaming will be available online on Hotstar and Jio TV app. You can watch live cricket match today on Star Sports network channels. 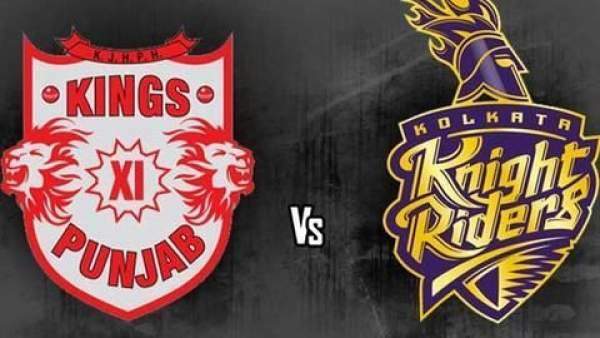 Kolkata Knight Riders vs Kings XI Punjab is the 18th of 60 matches in the ongoing Indian Premier League season 11. If you have access to the television, then you can open Star Sports 1 / HD and Star Sports Select 1 / HD in English. And Star Sports 1 Hindi / HD. However, if you don’t luxuy of TV, then you can catch live updates on Hotstar.com and apps of Hotstar, Jio TV, and AirTel TV. As of April 20, 2018, KKR stands at number 2 with three wins and two losses in five matches. While KXIP stands at number 4 with 3 wins and 1 loss in four games so far. Today’s match is to be played at Eden Gardens and is scheduled to start at 4 pm IST. The toss will take place as per the schedule at 3:30 pm IST – 30 minutes before the match kicks off officially. Let’s get down to some other important information regarding playing xi, team trivia, performance, etc. In the IPL history, both the teams have faced each other as many as 22 times. Out of those 22, Kolkata has won 12 times while Punjab has registered victories only seven times. Talking only about the Eden Gardens, then the two sides have encountered nine times. Out of 9, Knight Riders won seven while Kings XI got only two. It has been around 15 days since the start of IPL season 11 and now, the points table is showing the strengths and weaknesses of all franchises. Sunrisers Hyderabad, Kolkata Knight Riders, Kings XI Punjab, and Chennai Super Kings are standing at the top four spots. While, the rest of the teams are in bottom four. And, now, they need to perform outstandingly to get themselves a position in top four to qualify for the next round. Knight Riders has reached here due to the sublime all round performances while Kings XI made here majorly due to Chris Gayle. The West-Indies player Gayle has scored 167 runs in two matches. Now, he will be tested against the quality bowling attack of KKR. It’s going to be an interesting match to watch for. Punjab has faced more defeats against Kolkata than any other team in the tournament. However, speaking of this season, KXIP has been the best run rate in Powerplays with 10.29 and the best economy rate with 7.46 during field restictions.